Made from my own experiences. Real justice. Drop a comment! i can see potential series here even, good job wesker! In fact, that does sound really good. I have so many instances from working at the coffee shop that I could really develop a series on them. However, I would never cast a live-action marv show. I refuse. 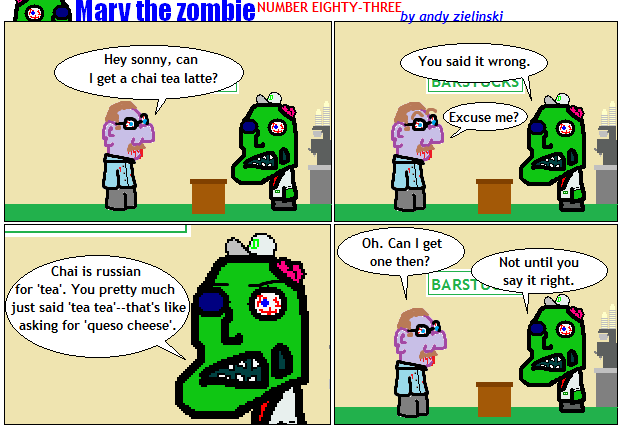 make more marv in the coffee shop! Oh believe me, there'll be plenty more of that. Whenever I have a bizarre situation at work, I write it down on a piece of receipt paper for my next marv. I have like four of them on my desk.